TelrSecure brings you the fullest antifraud protection available. Our proprietary software protects your revenue. Fraudulent transactions are kept away, and our tight real-time monitoring means that good transactions aren’t rejected either. Security, with no compromise on experience. It’s why our transaction success ratios lead the industry. We monitor transactions in real-time, using a set of algorithms and rules to identify any markers of fraud and instantly stop a fraudulent transaction from happening. Our security and fraud protection mechanisms ensure all your online payments, transactions and data are well-secured against online fraud – and you keep complete visibility over transactions. Our anti-fraud software is 100% built and operated in-house – and we don’t share it with anyone else. This means that we are able to rapidly respond to changes in the fraud environment, always optimising, always keeping you and your customers safe and secure. The intelligence built in to our anti-fraud algorithm actually improves your success ratio, by only flagging genuinely fraudulent activities. Give your customers an extra layer of security – and confidence in you. We support all of the main card scheme anti-fraud measures, including CVV2/CSC, AVC and 3D Secure. We can tokenise the card numbers of repeat visitors, which means that you’re able to offer your customers to ‘save’ their card details. Convenience for your customers, without any reduction in their security. Our fraud prevention system has preset rules for specific industries and geographies. You can also very easily customise these rules to fit the needs of your own business. We’re fully certified – which means that you don’t have to be. 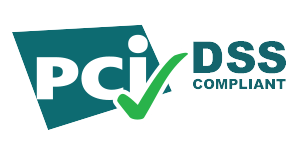 Our proprietary risk management and anti-fraud solutions are PCI DSS Level 1 Certified. We keep credit card and other sensitive data secure, and by using our libraries and APIs, you too are automatically compliant with the highest PCI requirements. Visit the PCI website to find out more about how they audit us to keep you protected. Why is it so important to get your antifraud protection right? In e-commerce margins can often be extremely tight. Online businesses need to strike a fine balance between protecting their revenue from loss through fraud, and providing the best possible online experience for their customers by removing friction at the point of payment. When a customer sees that their card has been used for a fraudulent transaction, if their bank agrees that the transaction is fraudulent then the customer will be refunded their money – but the merchant may end up bearing the loss. They will have delivered the goods to the fraudster, but ultimately will not be paid for them. Genuine transactions get declined, because the merchant’s antifraud solution isn’t sufficiently strong. This ‘false positive’ means that merchant suffers from lost sales, and the customer has a poor experience that is likely to affect their loyalty to the merchant. Telr’s proprietary antifraud solution proactively detects and minimises fraud. It continuously studies behavioural patterns, and layers this with data from its partners (such as Visa, MasterCard, banks and its online merchants), and the specific card information for each transaction. This data is integrated into our core payment platform, which reduces the need for manual intervention for analysts. Cases of fraud are reduced; false positives are reduced; revenues are protected, the customers’ payment experiences are frictionless, and the merchant is able to focus on growing their online business.